Whiter, brighter teeth are a quick and effective way to transform your smile and boost your appearance. 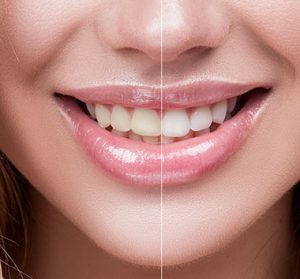 At Broseley Dental Practice we offer a range of home teeth whitening treatments that are proven to lighten your teeth by several shades. Many patients complain of discoloured, stained or dull teeth. This change in colour can be due to a number of reasons such as age, smoking, certain food and drink and various medications. Teeth whitening treatment restores the brightness to your teeth and is a perfectly safe and proven method of improving your smile. This is a fantastic and simple way to enhance your smile. We offer patients tray based whitening kits which you can use at home at your convenience. When you attend Broseley Dental Practice we will take impressions of your teeth so that we can create your whitening trays. We will then show you how to apply the whitening serum or gel to the tray and advise how long you will need to wear the trays for. Following treatment, we will arrange a follow up appointment so that we can ensure you are happy with the results.